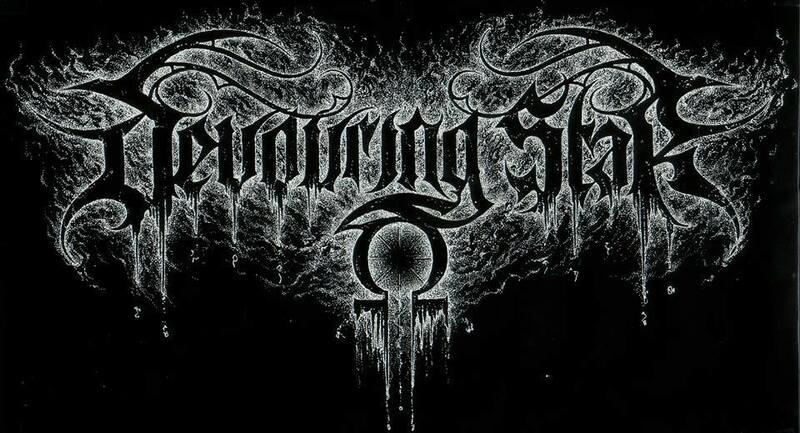 Devouring Star is a black/death metal band hailing from Finland. Not much of information has been revealed about the quartet, as the members keep their identity secret. Their debut effort, ‘Through Lung and Heart’ was released last month on various formats through Daemon Worship Productions. What makes Devouring Star unique is their complex approach on the music, dragging influences from ambient, black, death and doom metal to generate a sound of their own. ‘Through Lung and Heart’ is very dark, heavy and crushing at the same time. The album kicks off with a 2 minute long ambient intro before surging into chaotic black/death metal for the rest 35 minutes. Devouring Star carefully managed to distinguish themselves from being labeled as an Archgoat or Barathrum styled band by varying the tone depth and tempos. The band solely relied on heavy riffing to induce that hellish vibe in their music, echoing a 90’s death/doom atmosphere throughout. The often tremolo picked rhythms add black metal flavor to it, backed by powerful drumming and bass distortions. Devouring Star put all of their efforts to maintain the originality of their sound and showcased their musicianship on the opening track ‘Sanctified Decomposition‘, so if you are spinning the disc, you will know what is awaiting on the next four tracks. The use of synths is limited to ambient sections on the tracks ‘Sanctified Decomposition’ and ‘Through Lung and Heart’. ‘Decayed Son of Earth’ and ‘To Traverse the Black Flame’ have some slow paced sections reminiscent of Svartidauði. Again, the next track ‘The Dreaming Tombs’ pulls in the faster black metal mayhem. Therefore, the music never gets predictive but to grasp you amidst the trench of devouring black holes. Artwork, Through Lung and Heart. The vocals on this album is terrific, the howling singings and the trembling grunts will shiver your spine. Despite the good production, ‘Through Lung and Heart’ never loses the appeal. This is where Devouring Star stands out. They didn’t just rely on poor mastering and productions deteriorating the sound but brought in their innovativeness to procreate a genuine black metal stance for themselves. Not sure if others would agree or not, I will personally recognize ‘Through Lung and Heart’ as one of the most comprehensive and exciting releases of the year 2015. 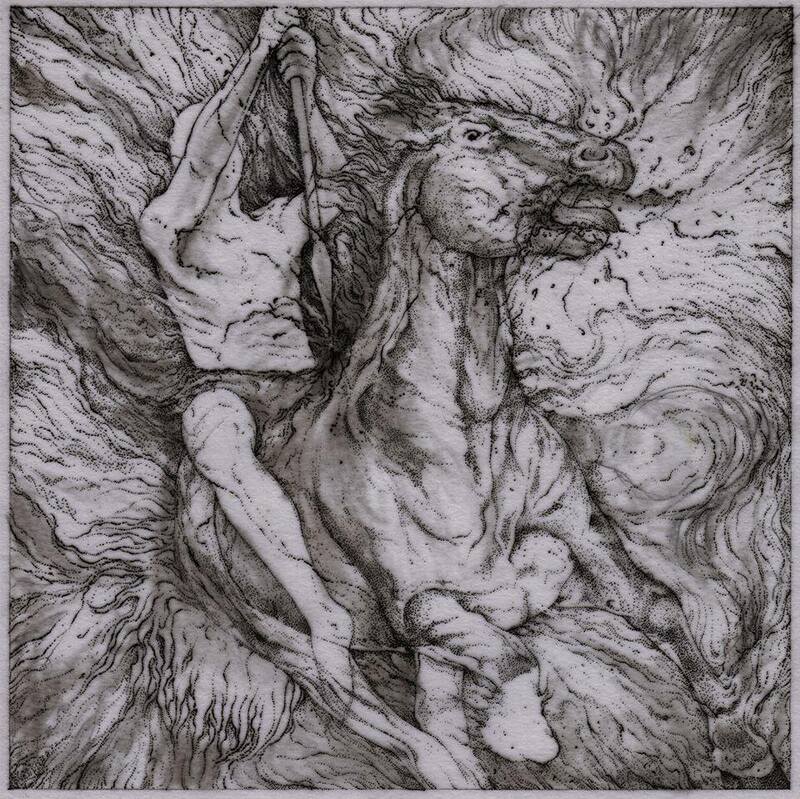 Devouring Star just showed their potentials by placing a landmark black/death metal album. Strongly recommended. Recommendation: Sanctified Decomposition, The Dreaming Tombs, Through Lung and Heart.